Custom Tour Ideas? Oh yea... We've got some. …a site map listing our travel adventures this time. The “how To” Mouse Site Map is just that… mostly about how to plan, prepare and pack. We’ve listed stories about our adventures and custom tours on MouseMap for Travels. Those stories are for places we’ve rambled on our own as well as for custom tours we’ve set up for just ourselves or for a small group of four or six. Some of these trips were years ago. We won’t be recommending any specific travel agency or tour operators here. The best way to find one is to take a look at the itineraries and prices that each offers to see if they fit in with your plans and budget. We have found that looking at their itineraries is a good starting point. If you have 4 to 6 people, they will be able to fill a car or small van and it won’t cost you that much more than joining a group on a bus. Don’t be shy… just ask. The worst they can say is no, or quote a price too high for you… then you move on. Here we’re going to list places where we’ve set up those tours… and places where we think you could. Africa is one continent where you really will have a harder time just rambling. We HAVE done a couple of safaris on our own without reservations, but that won’t be the ideal way for most people. We will tell you that African safaris tend to be on the high side of our budget. We will also tell you that we think this is a splurge that’s worth it. So what are some custom tour ideas for Africa... where have we done custom tours there? 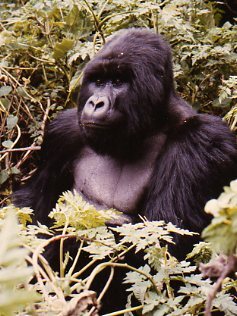 Six of us found Mountain Gorillas and went on a traditional driving safari in Rwanda too. It’s known for gorillas, but they have great wildlife in their parks. We dealt with a local agency and set up a great tour. We’ll link to the Madagascar itinerary we set up for just 4 of us. I have to tell you, with some of those road, I can't imagine trying to get around with a bus and a large tour group! There were only three of us on our first Botswana adventure. More recently we set up a custom tour through South Africa, Zimbabwe and Botswana for four of us. It was only slightly more than the tour company offered to a larger group. We had the whole vehicle, and guide, and driver all to ourselves… no fighting over who had the best photo opportunity. 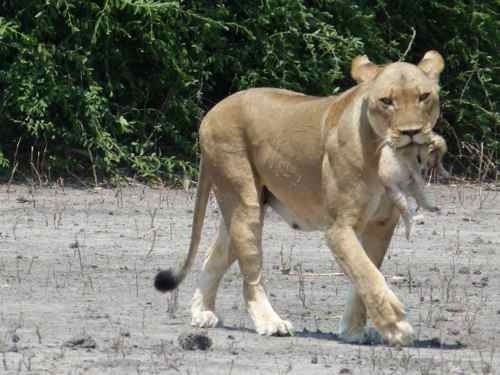 And what an opportunity this mother lion gave us! We also arranged for a car and driver in Mali to take us to Dogon country (not Timbuktu). Was that a custom tour? I guess it was. We traveled for the same price as a group tour. The agency was able to set up a tour on to Myanmar as well… for just the 4 of us. Four of us traveled a custom itinerary on this one too to Beijing, Xian, a Yangtze River Cruise and on to Guilin. Some custom tour ideas can have you sort of planning after you get there. We flew to Borneo without setting up a tour ahead of time. 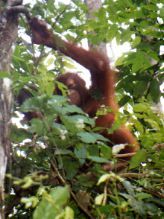 We found a travel agency once we were there, and they set up a custom tour that too us to the Turtle Island, the Orangutan Sanctuary at Sepilok and a lodge on the Kinabatangan River, with some markets and caves thrown in. Jordan was another destination where we set up a custom tour once we had arrived. We hired a taxi driver and created our own small group tour. The three of us went just where we wanted. No problems. We had researched ahead the places we wanted go do, and Amed was able to take us there. Four of us went on a wildlife and birding adventure in Peru. from Cuzco, driving over the Andes and boating into the Amazon basin to Manu National Park. 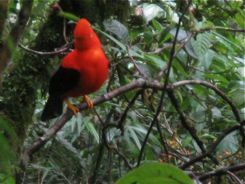 Mark and I set up a tour that took us to the cloud forest of Ecuador at Bellavista and into the Ecuadorian Amazon for a very reasonable price. We went looking for Jaguars on a custom tour for just the two of us years ago. We will go back shortly with our own small group of 4. We suggest this custom tour idea because we were just a little intimidated by the travel warnings for El Salvador and Nicaragua. A custom tour was just the ticket. I really can't imagine a large group making the unique border crossing that we did! We really think you can set up a custom tour anywhere in the world… We don't really think we need to give you custom tour ideas for all of them. We also think there are places you don’t need to. In Europe we’ve always traveled on our own, but we have talked to people who set up their own custom tour. Sometimes European group tours just go to capitals and “big name” destinations, you can design your own tour to go to smaller places. Fewer people let you do that. We did have a tour set up for four of us when we took the Trans-Siberian train across Russia, Mongolia and China. I just really didn’t want to get off the train in Siberia and not have a hotel! If you have a specific interest, talk to a tour company about it. 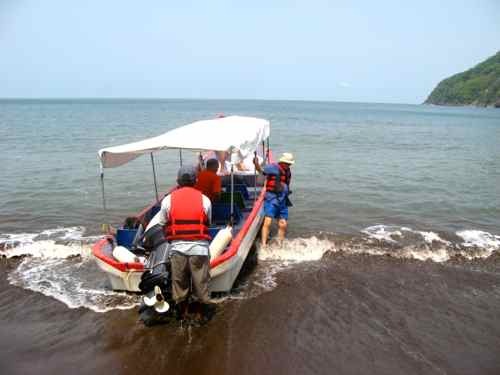 We’ve generally found that you can take a tour that they offer, and customize it for your small group for very little more than the list price for that larger group. We hope you'll find a destination that sparks your interest and encourages you to travel. Remember our motto: We believe that travel promotes understanding and understanding promotes peace.